Cabin Fever is a bespoke glamping business providing luxury bell tents for private holidays, weddings, fishing and hunting trips, festivals, and events. 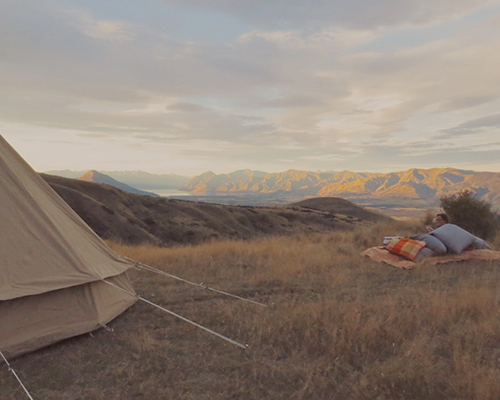 Based in Wanaka, New Zealand, Cabin Fever was born from the desire to create unique outdoor experiences for those wanting to step off the grid and get back in touch with life's simple pleasures. 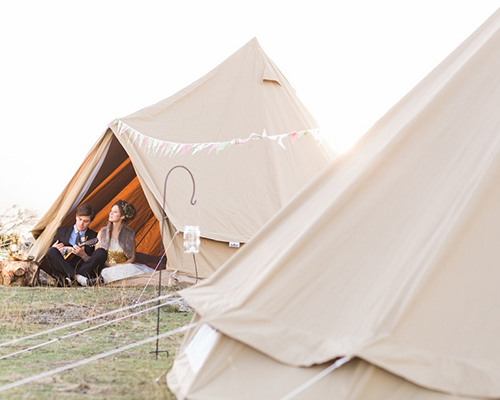 With glamping there's no tent to pitch or sleeping bag to unroll; our range of stylish bell tents are constructed and furnished to meet the needs of your outdoor experience. We set-up camp at the destination of your choice, leaving you to immerse yourself in the activities that matter to you. With added luxuries, from lighting and power to catering services, Cabin Fever is dedicated to providing you a stress-free glamping experience. A boutique hotel or a romantic honeymoon camp overlooking Lake Wanaka? If you are looking for that unique wedding experience, we know all the best locations. Whether you are wanting to experience your own private beach camp or a weekend away with friends and family, Cabin Fever can make your dream holiday a reality. A fishing or hunting trip to truly remember with great food, wines or even a private chef, and travel by either 4WD or fly into base camp. For team building or planning sessions customised to your company, including location, meals, activities and even entertainment, this is the ultimate way to re-group.